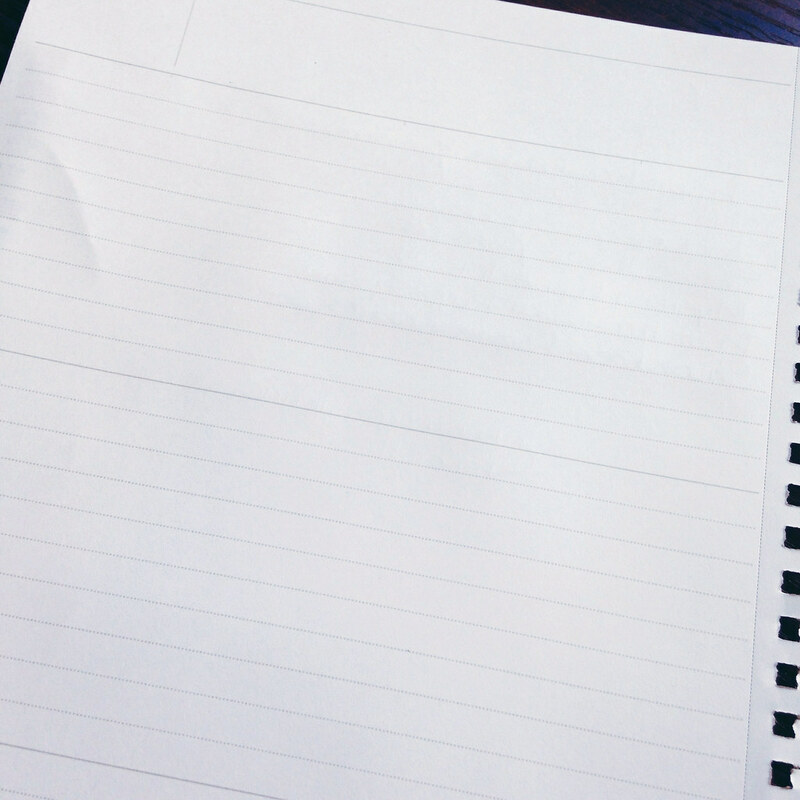 This notebook is a B5 size. It measures 176 x 250 mm. That’s 6.9 x 9.8 inches for those of us who don’t speak millimeters. Such a pleasing size. Neither too long nor too wide. It can be laid open on the corner of a desk without being too much in the way. 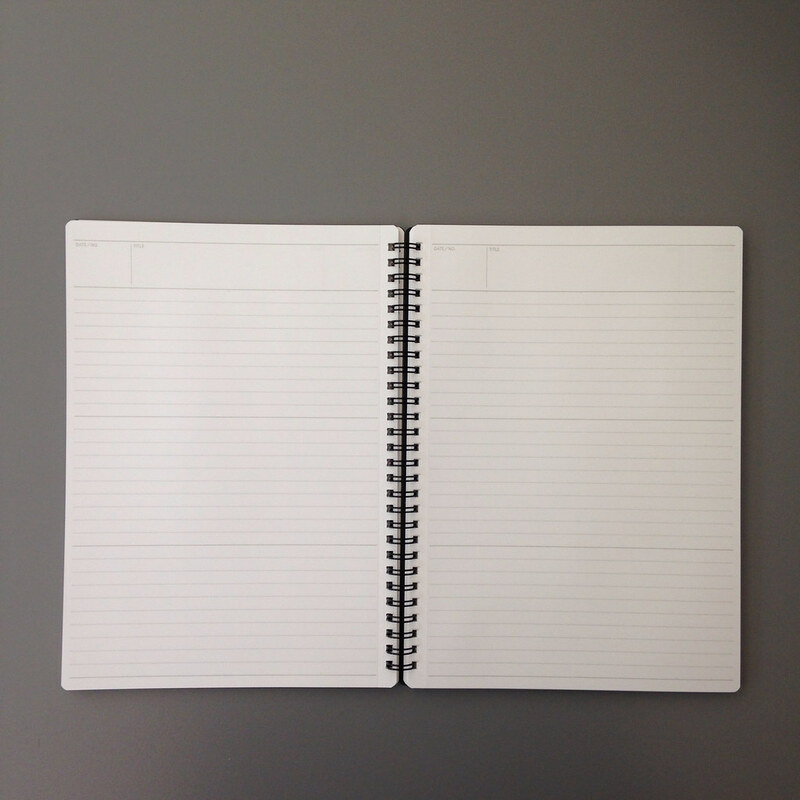 Fold it over on itself and it’s not too big to be held in one hand. I’m digging B5. 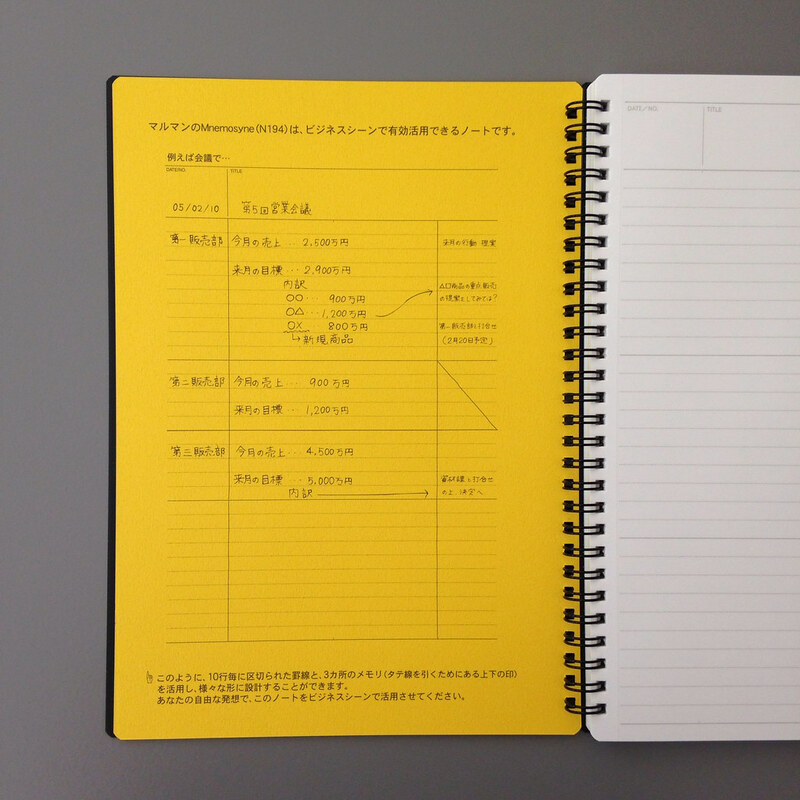 This yellow sheet is the first page in the notebook. 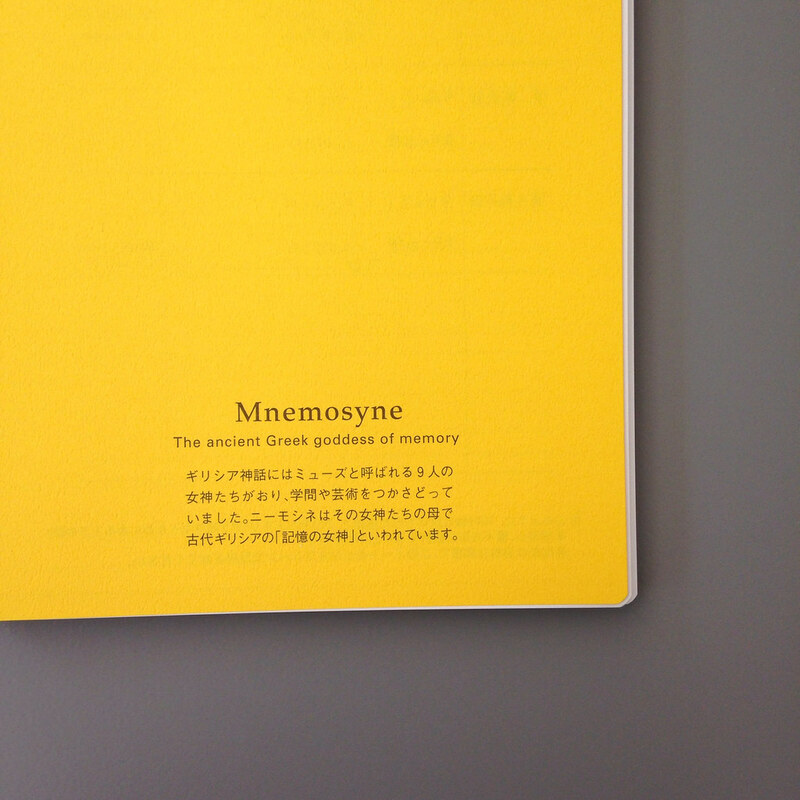 It looks like instructions, but it’s in Japanese. And it’s a little confusing at first glance because these pages do not have vertical lines, but this example page does. What the heck? You can see one of these little marks in the picture below. Such a nice touch – love the easy flexibility. 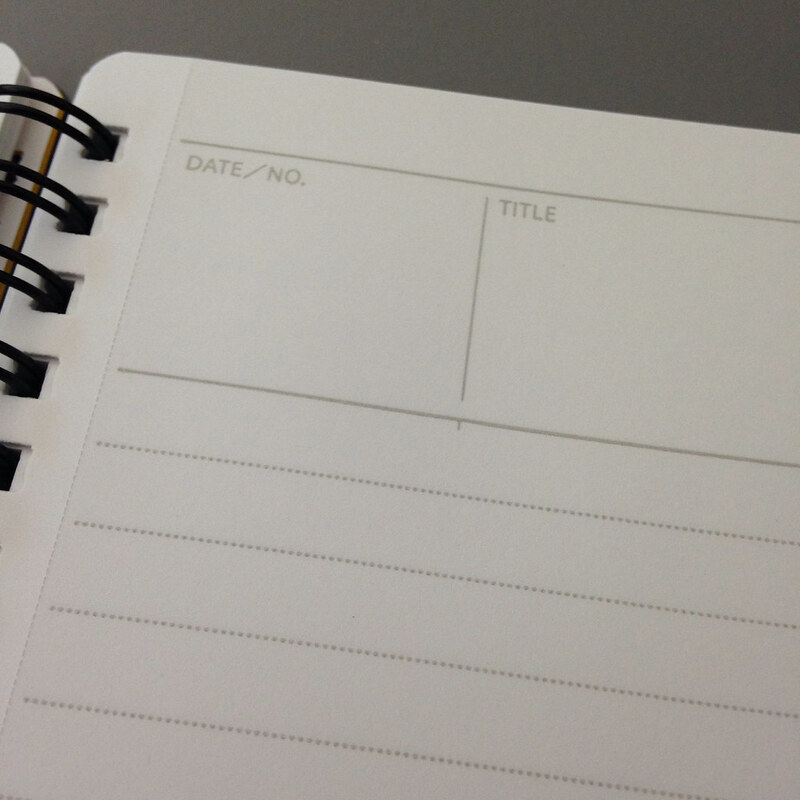 Each of the 160 pages (80 sheets) has gray dotted lines that are spaced 7mm apart. Every ten lines, there is a heavier solid line. 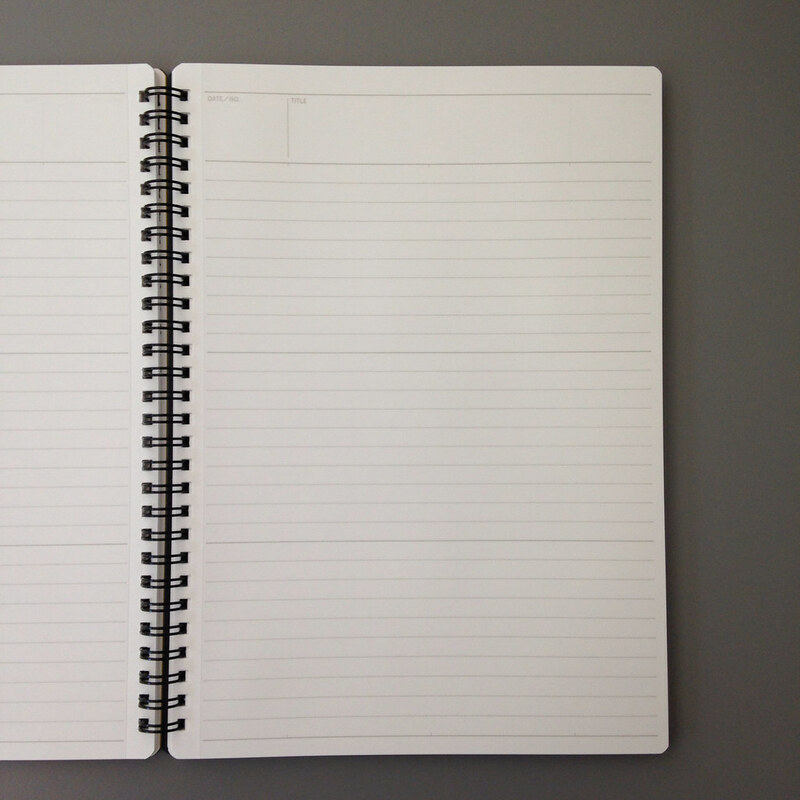 These heavier lines lines divide the writing part of the page into three equal sections. 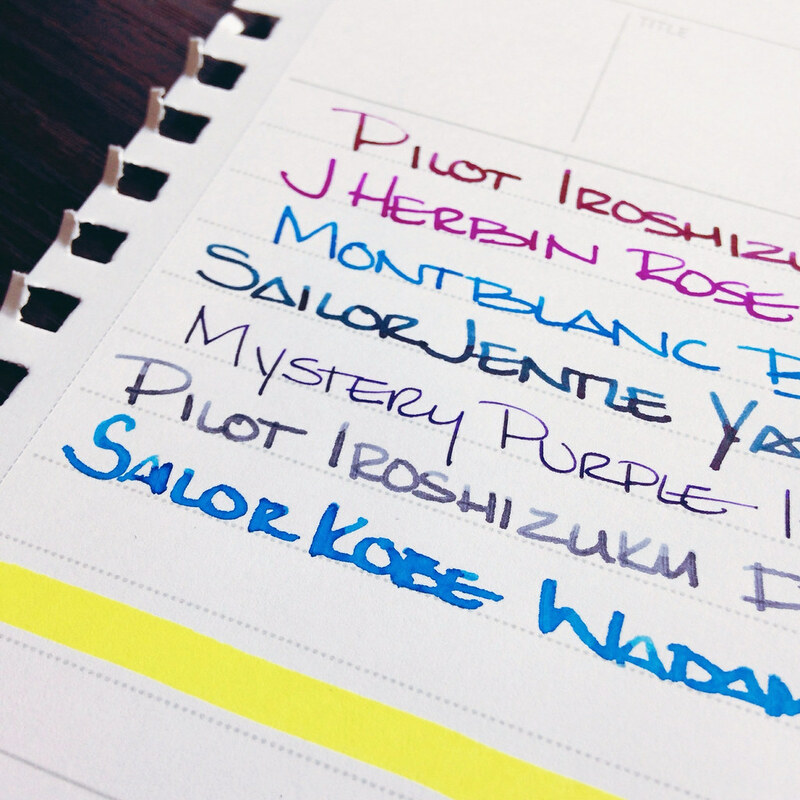 These lines are not so intrusive that you have to use them, but they’re there if you want to. Again, easy flexibility. But…how does it perform? Check it out . . . 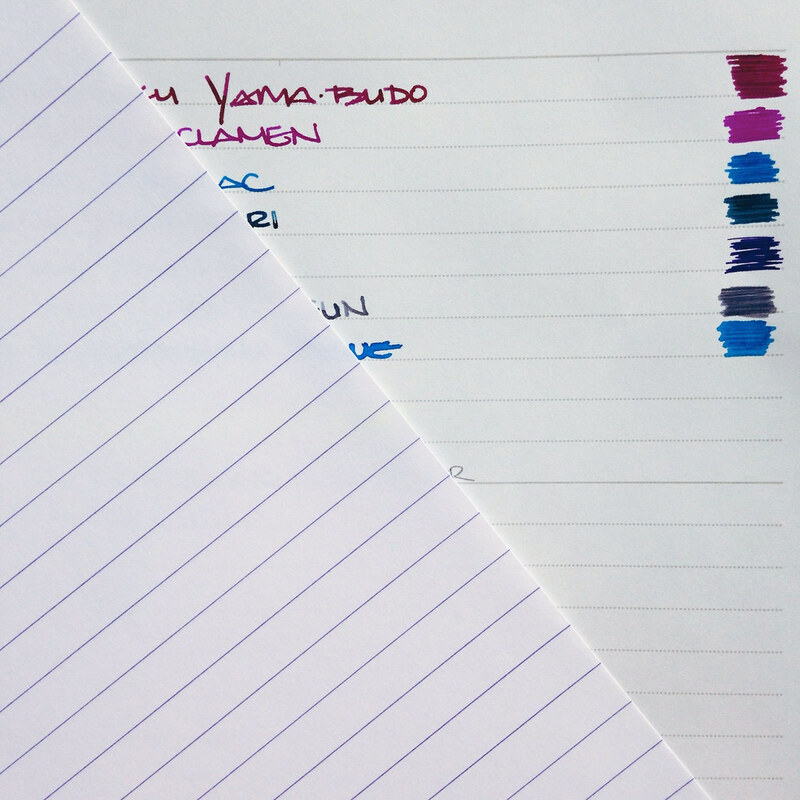 The paper on top of the writing sample is Clairefontaine 90gsm. 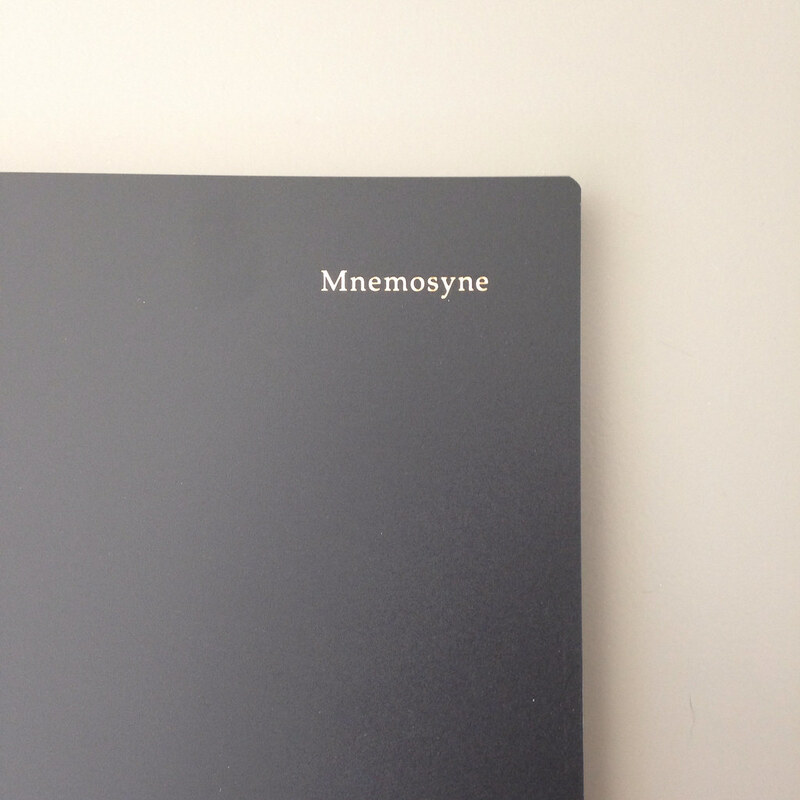 The Mnemosyne is definitely a softer white. 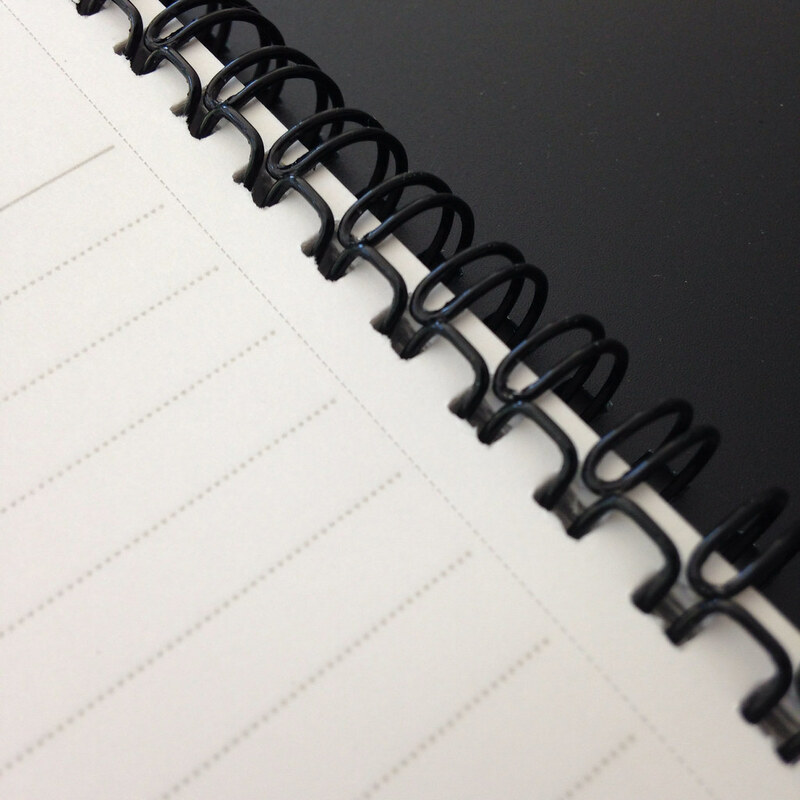 The paper is buttery smooth with an expensive look and feel. 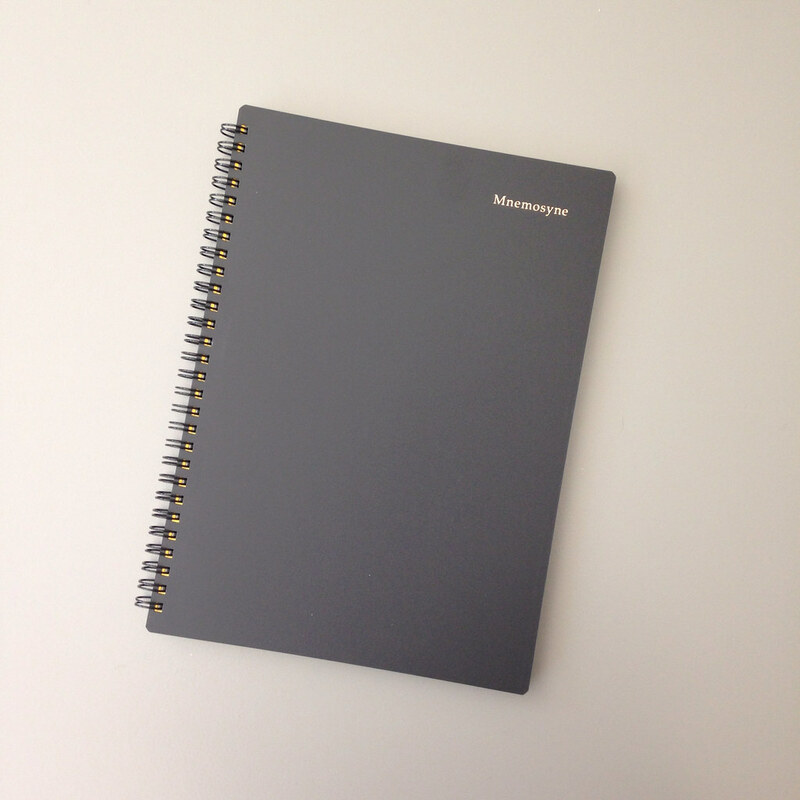 I paid $8.95 for the notebook and while that’s a lot when compared to a Mead notebook, it’s about what I’d expect to pay for a premium product.